I'm not sure about you, but I feel like in our standards-based world, creative writing has gone by the wayside. And nothing makes me sadder! Creative writing activities are my absolute favorite way to build better writers. That's because they are quick, targeted, and usually a ton of fun. Do you know what happens when students do something that is fun? That's right! They begin to actually enjoy it. Gasp! Just imagine your students excitedly writing! It's a wonderful thing! Creative writing demystifies writing. It builds students' confidence in writing and develops targeted skills that can be transferred to everyday writing. 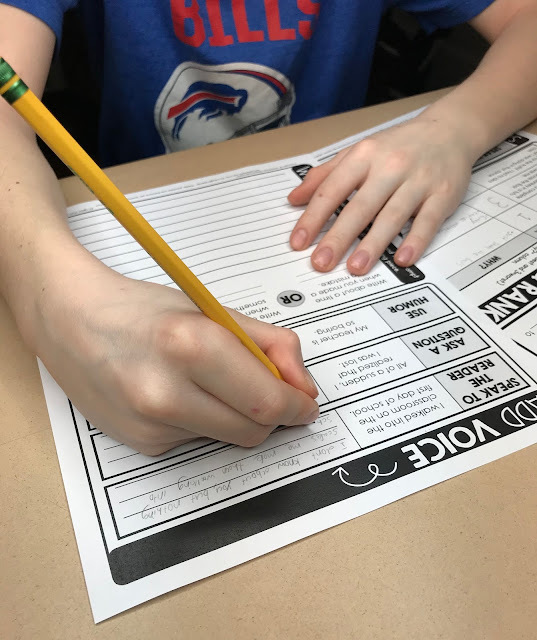 One easy way to bring creative writing activities into the classroom is by designating a day of the week or month as a creative writing day. I called this day "Random Writes" in my classroom. We did a random write activity after every spelling test. Kids went nuts over the activities! I know what you're thinking...you're wondering how you can get your hands on some fun creative writing activities, right? I've got great news for you! First of all, I've put together a set of five FREE lessons that are sent right to your inbox when you sign up for the Brain Waves newsletter here. If you're looking for more activities, you can find a set of 10 lessons in this resource. Oh my! I LOVE a good writing mini-lesson! 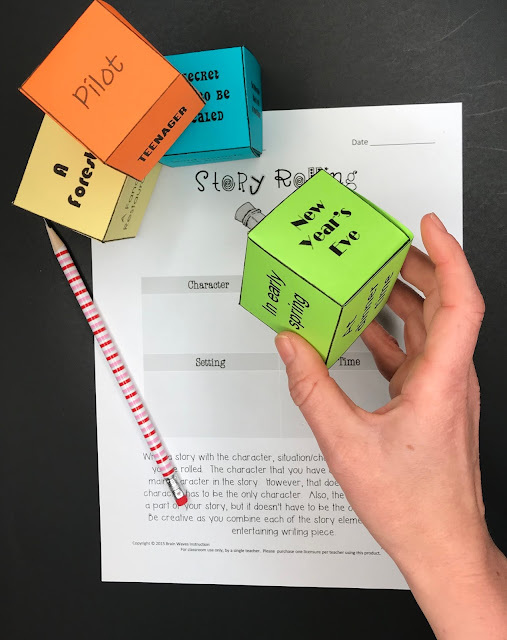 Mini-lessons are brief lessons that can demonstrate writing workshop procedures, explore writers' craft, and develop writing skills and strategies. They are powerful nuggets of instruction that can drastically change students' writing. Mini-lessons can be taught in response to a need that you're noticing in students' work or you might align them to a particular genre of writing. I like to keep the lessons fairly short, and often they're great to teach in small groups! ➽ An introduction of the topic. This includes a definition and an overview of the skill or strategy. ➽ Examples. When teaching a mini-lesson about writing it only makes sense that you'll share examples of that skill. I think it's particularly fun to gather a few text examples and then have students vote on the best one. 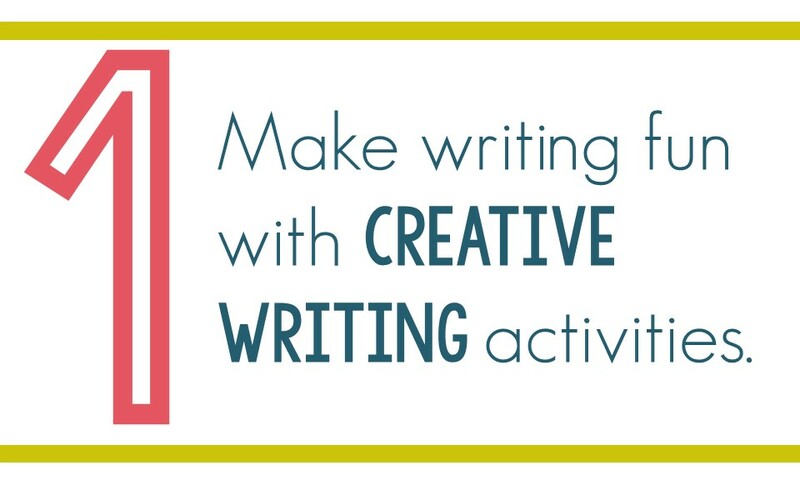 This simple activity gets students thinking critically about writing. ➽ More detail. After students have a sense of the skill, it's time to dive deeper. This is when I provide additional information about the topic. ➽ Guided Practice. By now students have a sense of the skill, so it's time to give it a try. I like to create writing tasks that they can practice. 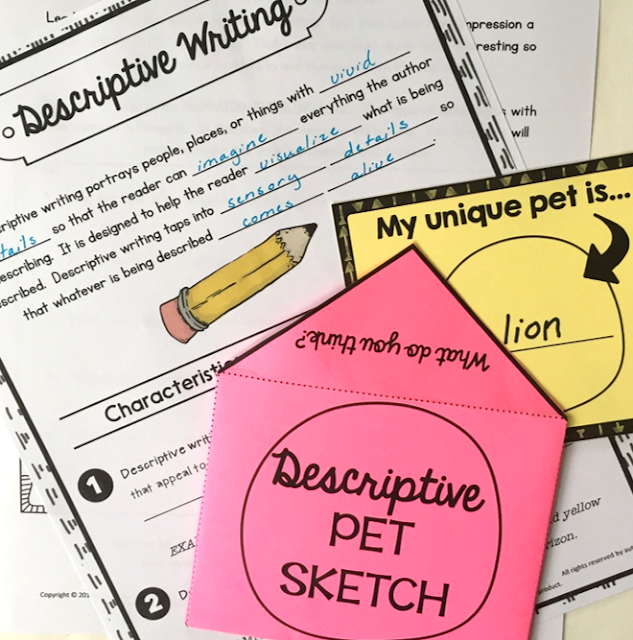 The easiest way to do this is provide samples of writing that students need to makeover using the skill. ➽ Apply. Finally, I like to close mini-lessons with a longer writing prompt or if students are working through a writing unit, I like to have them improve their current piece of writing using the new skills they practiced. 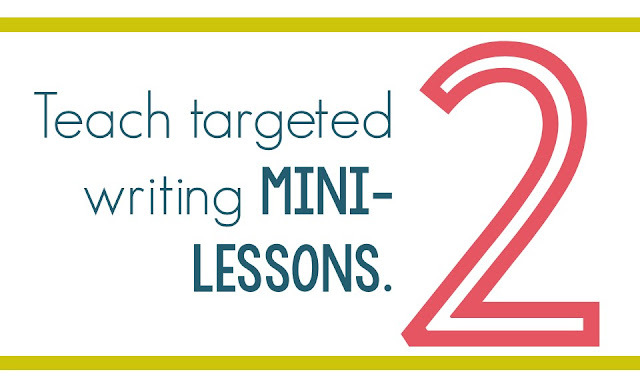 If you're on the hunt for print-and-teach writing mini-lessons, then you'll love this set of 10 lessons. 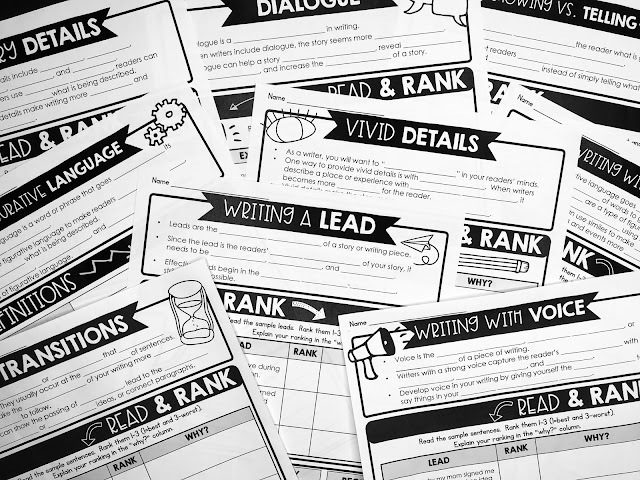 They address everything from writing leads to adding voice to writing dialogue. Check them out HERE. 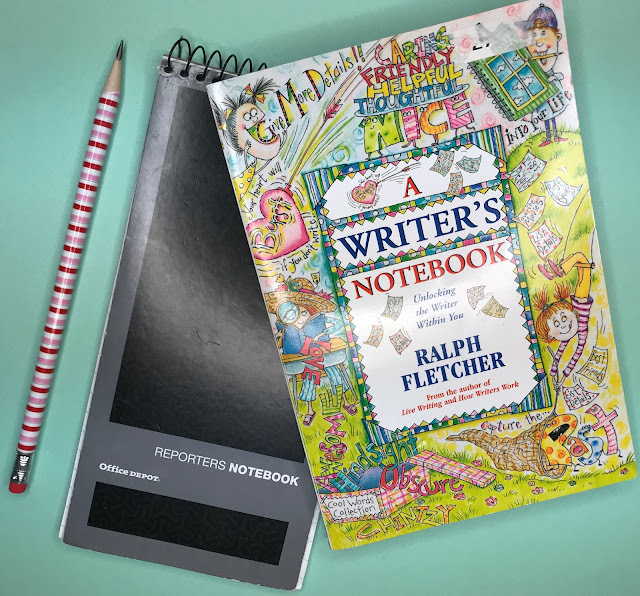 In Ralph Fletcher's book, A Writer's Notebook, he explains that a writer's notebook "gives you a place to live like a writer, not just in school during writing time, but wherever you are, at any time of day." He encourages everyone to find a simple notebook and get writing. I love that! Just like that, writing becomes a part of everyday life. It's not tied to a genre or an assignment. Instead, inside the writer's notebook students get to just write. It's like an artist's sketchbook. Here's the best part. When we encourage our students to write regularly, they'll amass a ton of ideas. Then, when it comes time to choose topics in class, it's as easy as thumbing through their notebooks. If you're thinking about implementing writer's notebooks in your classroom, be sure to check out Fletcher's book. He has a ton of ideas. And, since students are going to need an actual notebook, I love these reporter's notebooks. They're small enough to carry around and the empty page is way less intimidating! 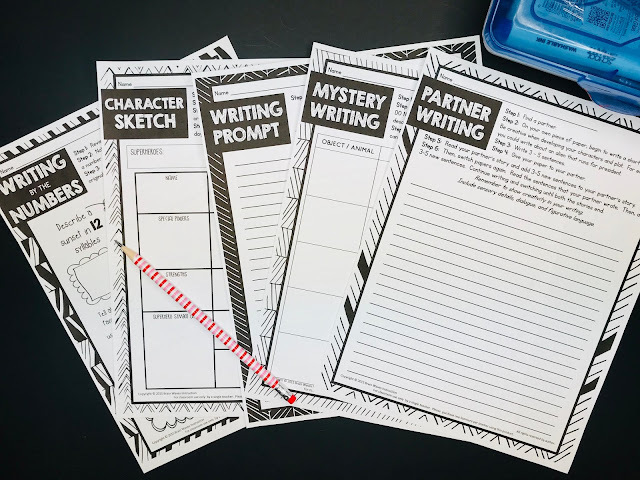 Another idea is combine writer's notebooks with writing units. 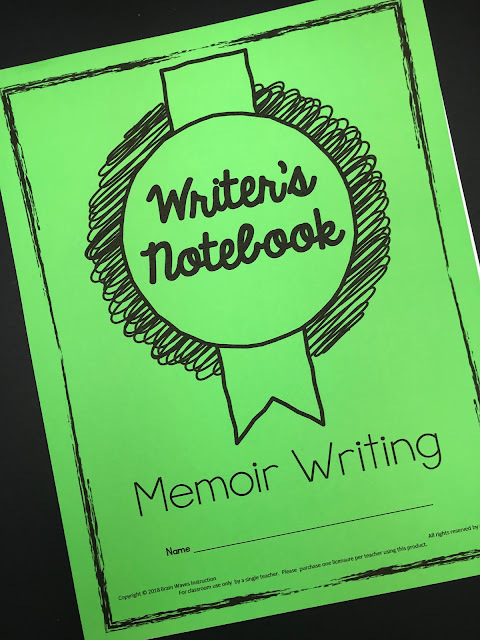 For instance, in this Memoir Writing Unit, students spend five days responding to prompts in a writer's notebook. Then, when it comes time to pick a topic for the memoir, it's super easy! Plus, they already have a head start on the writing process. 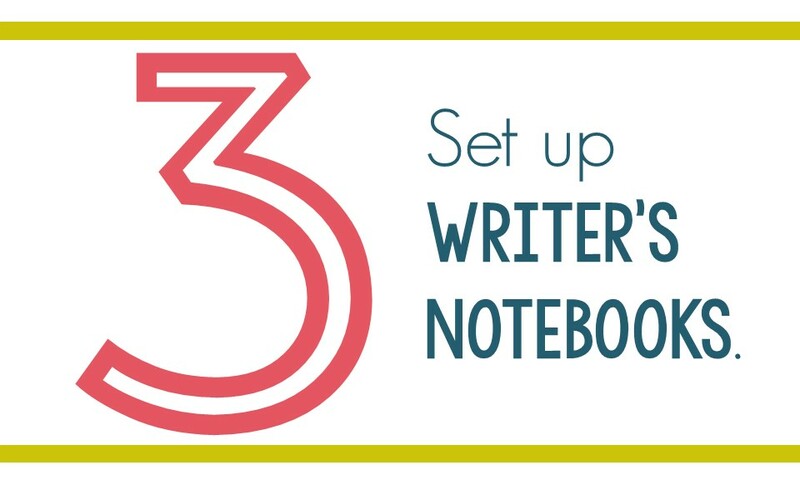 You can add a writer's notebook component to any writing unit! Have you ever heard the expression, "good writers are good readers?" Well, in my experience, that's absolutely true. Reading excellent books and stories is a wonderful way to build students' writing skills. 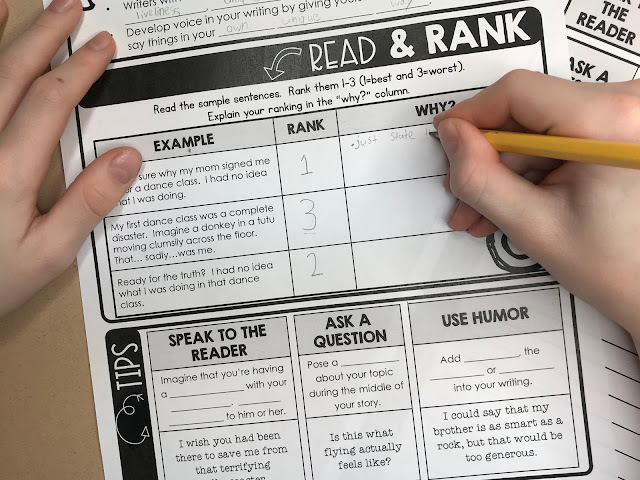 The more we expose students to strong mentor texts and entertaining pieces of writing, the more they will be able to see what to emulate and imitate in their own writing. One way to get students to pay attention to the craft of writing while reading is with a simple post-it note. 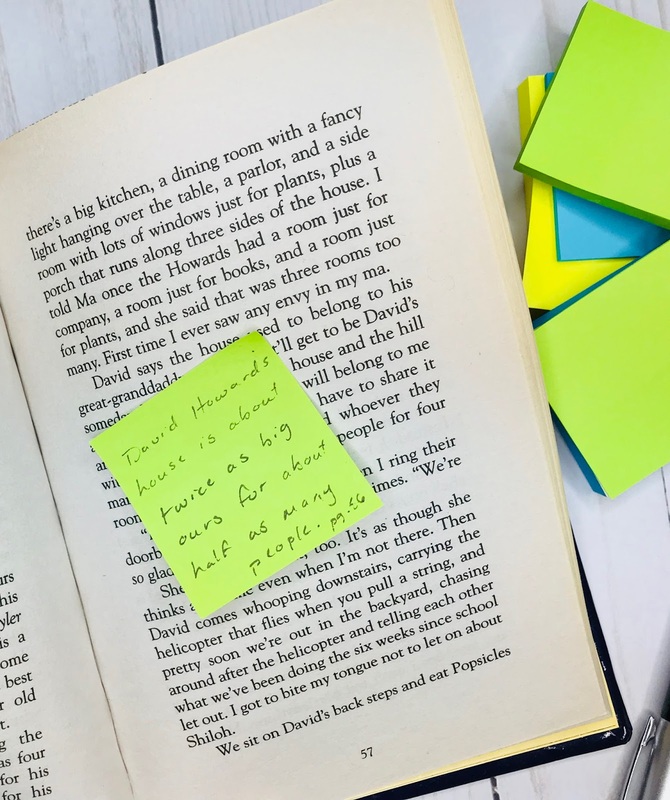 Give each student a post-it note and ask them to select a sentence (or two) from the text that proves that the writer is skilled. Then, give students a chance to read and record their examples. Finally, have students share the sentences they chose with the class. Discuss students' examples and ways that they might emulate the author's style in their own writing. You could even assemble all the post-it notes onto a bulletin board for display. 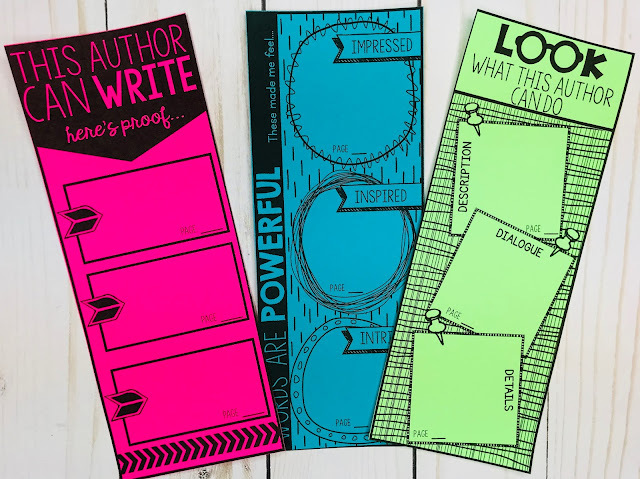 Another way to get students to pay attention to writing while reading is with this FREE set of bookmarks. 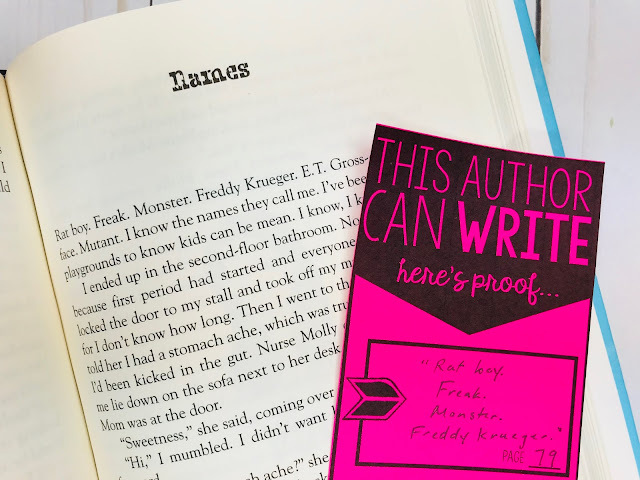 Each bookmark is designed to encourage students to investigate the craft of writing while reading a book or story. As students read, they need to jot down examples of strong writing from the text. 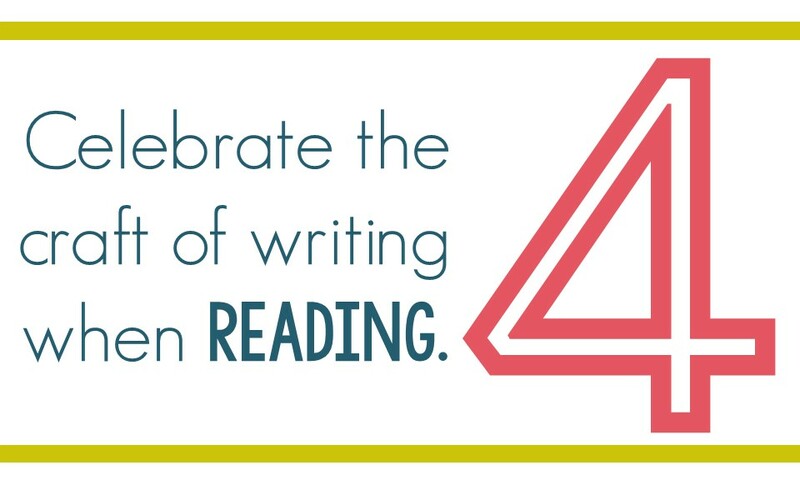 The idea is to help students recognize and celebrate phenomenal writing. CLICK HERE FOR FREE BOOKMARKS. 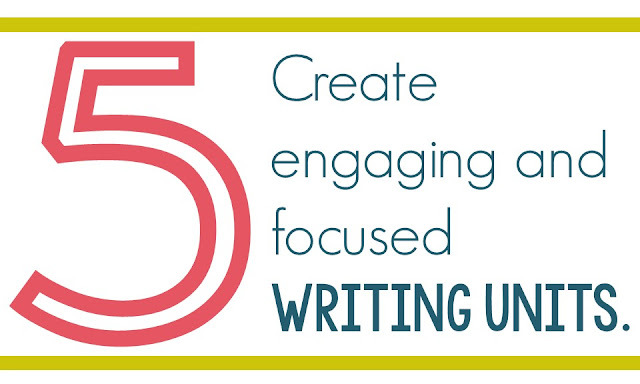 If we want to build better writers, then we're going to need to create some engaging writing units. Here's the truth...if we don't provide students with writing topics that interest them, then getting them through the writing process is going to be a whole lot harder! That's why it's essential to craft units around interesting topics. Some of my students' favorites are writing persuasive advertisements for a roller coaster that they design or descriptive paragraphs about imaginary pets like lions. Oh, and the historic news article and 3D growth mindset research reports are always a hit. The idea is make students actually WANT to write. Another tip is to make sure that the writing units are focused and concise. The easiest way to turn students off to writing is with a long, drawn-out writing unit. That's why I like my units to be just ten days or two school weeks long. Shorter units mean that it's easier to hold students' attention and they can write a variety of pieces all year long.